Welcome to the KPC blog! This is where I share more about my wonderful clients and the special moments I've had the honor of capturing. Enjoy highlights of sessions and events, and show KPC + friends some love - click the heart to LIKE! Let's Stay in Touch! Subscribe to Notes from KPC! Thank you for signing up for Notes from KPC! I'm glad we'll be staying in touch! Be on the look out for the next monthly note arriving in your email inbox! Ashleigh’s carefree liveliness and RJ’s good-natured charm make them a fun couple! Whenever they’re around each other, they live in the moment and laugh often. Ashleigh and RJ love to have a good time with friends and family. So much so that they had a 1920s speakeasy themed wedding at The Milestone! 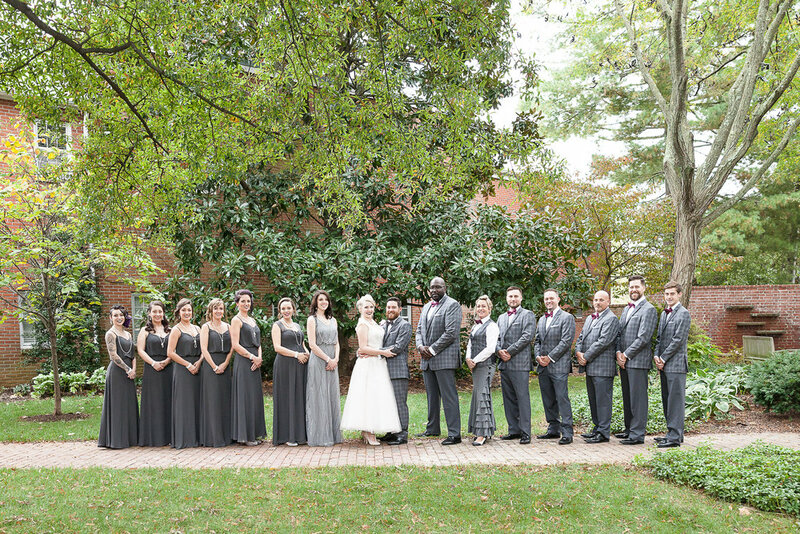 Ashleigh donned a captivating tea-length dress, RJ looked sharp in his tailored gray suit and their wedding party dressed to compliment the couple. After their first-look downtown Easton, it was on to the ceremony and right into an evening of non-stop merriment! It was an honor to share in their special day! Here's a sneak peek of their wedding! Thank you for letting me share a part of your story, Ashleigh and RJ! I wish you a blessed marriage! Like, Tag, Share! Kindly don’t edit/crop the photos. Thanks!